Thank you for your support during this difficult time. Please enhance this tribute to Steve by adding your memories and photos. Stephen Lawrence Walker Stephen Lawrence Walker, of Johns Island, SC, passed away after a brief illness on the morning of Sunday, February 10, 2019. Steve was born in Charleston on November 14, 1945 to the late Lawrence and Phyllis Walker. He grew up in Summerville, SC, entering the Pinewood School on the day they opened their doors. He graduated from Taft School (Watertown, CT) and Duke University, and for the rest of his life he remained a fan of Duke men's basketball. After college, he served as a naval officer in the Vietnam War. Upon return to Charleston, he was a founder of Corporate Plan Services (later Pension Systems, Inc.), which he built and managed his entire life, selling the company upon retirement. During his career he also served two terms on the Board of the American Society of Pension Actuaries. Late in life he turned his efforts to growing and showing camellias, eventually helping judge camellia shows in South Carolina and surrounding states. His other passions were art history and European travel. He was a member of the South Carolina Society. He is survived by Mary, his wife of 43 years, as well as his sister Phyllis Walker Ewing and brother G. Trenholm Walker (Susan Hull Walker), both of Charleston. He is remembered fondly by his tight-knit family and friends as a brilliant, warm, and gentle man who was dearly loved by all who knew him well. 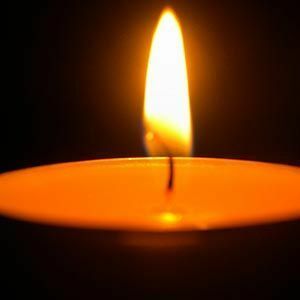 The committal service will be Friday, February 15, 2019 at 3:00 p.m. at Mepkin Abbey. The family will receive visitors at the home of Trenholm and Susan Walker, 4 Logan Street, Charleston, Friday, February 15, 2019 starting at 5:30 p.m. Contributions in memory of Steve may be made to Mepkin Abbey. Life Stories provides friends and families a forum to post their favorite stories and memories of Stephen Lawrence Walker ensuring the precious experiences are never forgotten. Share joyful times, post a photo that captures the moments you cherish, and allow others to reply, relive and remember.